Pyrat Rum is owned by Patrón Spirits, a company created in 1989 by John Paul DeJoria, and Martin Crowley. The company does not own a distillery, rather they act as a third-party company sourcing what they believe to be the best stocks for their products and blending them according to their own formulas. There is always a bit of secrecy surrounding these private blends, but perhaps I can shed a little light on the production of Pyrat Rum XO Reserve. When the brand was created (about 1997), the rum was produced by the Anguilla Rums Company from those previously mention rums stocks which were sourced from various Caribbean distilleries. More recently however production has been moved to Guyana, South America. When I was in Guyana last April, I was given a tour of the Diamond Bottling Plant owned by Demerara Distillers Ltd. (DDL). During this tour, I was told that Pyrat Rum had just installed their own private bottling line within the Diamond plant. Pyrat XO Rum, I learned, is primarily a Demerara rum blended and bottled in Guyana from a blend of 2-year-old Demerara stocks and other stocks sourced from various Caribbean producers. I was able to witness the Pyrat Rum bottling line in operation during my tour of the Diamond plant while Pyrat Rum XO Reserve was being processed. I was told that a portion of the Pyrat blend is produced on Demerara Distillers’ High Ester Still, which is a functioning John Dore Still which is capable of producing intense flavours within the distillate. If you have sampled Pyrat Rum previously, you have probably noticed a very different flavour profile. As fortune would have it, about nine months later, I was given an opportunity to meet Burt Stewart, the VP of Sales for the Patron Spirits Company at Aligra Wine and Spirits here in Edmonton, Alberta. Mr. Stewart was in town to promote his new Vodka, Ultimat; but he was not averse to talking to me about rum. Of course, the rum I wanted to speak about was Patron’s very own Pyrat Rum. He confirmed the information given me in Guyana, and added that the oldest rum in the Pyrat Rum XO blend is 15 years old, and added that all of the XO rum is aged in a combination of American Oak and French Limousine oak casks. Of course, I asked Mr. Stewart about the unique flavour of the rum and whether he could confirm that the John Dore Still at Demerara Distillers was responsible, or whether the flavour was arrived at by other means. I like the bottle which houses the Pyrat Rum. 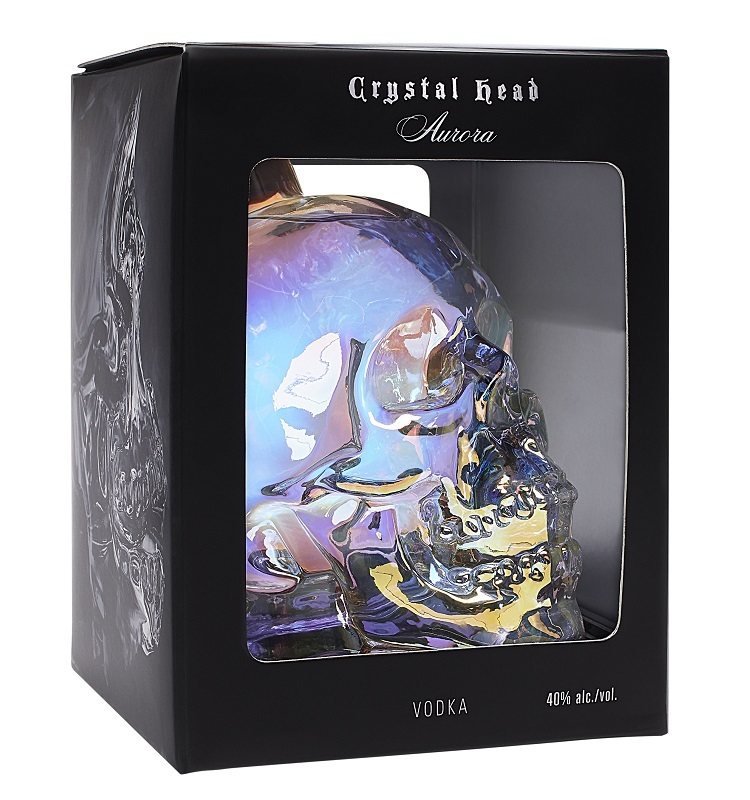 It is a handcrafted bottle apparently designed to be similar in style to the original rum decanters which were used hundreds of years ago by Sea Captains and Pirates. The short stubby bottle with its wide base looks like a rum bottle fit for the ocean traveler as bottles such as these are less likely to be tipped over on the Captain’s table while the ship is rocked by the rolling seas. The bottle also features an orange ribbon tied around the neck of the bottle and a pewter medallion featuring Hoti who is identified on the Pyrat Rum website as the Patron Saint of Bartenders and a symbol of the spirit of enlightenment. I guess I am a little perplexed by this symbology. Pirates and sea Captains, that works for me. But the Hoti symbol is rather confusing especially identified as the Patron Saint of Bartenders. The Pyrat XO bottle isn’t really a bartender friendly bottle. In my way of thinking, short stubby bottles such as these are more like ‘anti-bartender’ bottles. They take the space of two bottles on the bar shelf; and are rather cumbersome to grab off the shelf and pour quickly and efficiently. And that orange ribbon would be just plain annoying for the bartender. By the way, I understand the orange ribbon is probably a visual clue to the unusual orange flavour the rum possesses, but perhaps some orange colour in the topper would work better in the bar setting. But I am really just quibbling. The stout chubby bottle works for me (I am not a bartender), and the Hoti medallion and the annoying orange ribbon were easily disposed of. The Pyrat XO rum is as a yellowish orange amber colour which shows me a myriad of legs when I tilt and twirl my glass. The initial nose brings forward a candied orange/tangerine scent which immediately reminds me of Grand Marnier. The rum smells rather sweet and the nose has a light wine-like quality. Impressions of green grapes seem to be underneath which is probably why I am connecting this with Grand Marnier (which has a brandy base) rather than triple sec or orange Curacao. Further nosing of the rum brings reminders of lemons, butterscotch, and something spicy like cinnamon and cloves. The overall aroma is pleasing, although there is perhaps a light astringency that also enters those breezes above the glass. 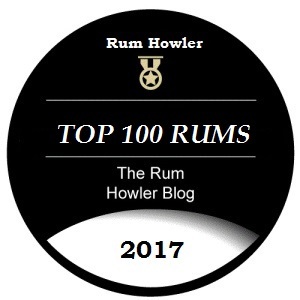 The rum follows an interesting path though my mouth as the first indication upon my palate is a brown sugary sweetness which quickly gives way to orange zest and impressions of tobacco. This is much more rum-like than the nose would indicate, although that unmistakable current of orange liqueur still permeates the experience. There is an underlying heaviness to the rum which is in part at least linked to the sweetness; but which also seems to be a function of the underlying Guyanese Rum. Flavours of cinnamon, apricots, and hints of lemon round out the taste profile which is unique, (and for me anyway), quite appealing. If orange liqueurs like triple sec or Grand Marnier are not to your liking, you may disagree strongly with my assessment. I like the Pyrat Rum XO Reserve more than the I liked the much older, much more expensive Pyrat Cask 1623 Rum. Although the XO Reserve is much younger, and brasher; it is also (in my opinion) much more rum-like despite the obvious orange/tangerine in the flavour profile. My score of 84.5 represents a solid rum suitable for sipping, but one which I enjoyed more in cocktails (see my recipe below). mmm! Orange Daiquiri in the Snow! Shake vigorously until the outside of your shaker frosts. Sorry to hear that you are having issues with the consistency of the blend. This is the first I have heard of any issues at all with respect to Pyrat XO. Hopefully your experiences with this rum improve. I see that the Pyrat rum is located at the column Aged Rum (Aged 2 to 5 Years), but according to the Pyrat website the rum is 15 years old? The Pyrat Website indicates that rums up to 15 years of age are included in the blend. However the website says nothing about the youngest rum in the blend. In my conversations with Demerara Distillers who currently distill and age the bulk of the blend (I was in Guyana and talked directly to the folks about Pyrat Rum), and in my conversations with Burt Stewart, the VP of Sales for the Patron Spirits Company (whom I met in Edmonton and again talked directly to about the blend); there was an admission from both that the bulk of the blend is only 2 years old. Of course good marketing dictates that the website only refer to the small amount of rum that is aged up to 15 years. This is a hard rum to find for me, but in my travels I have been fortunate to obtain one. 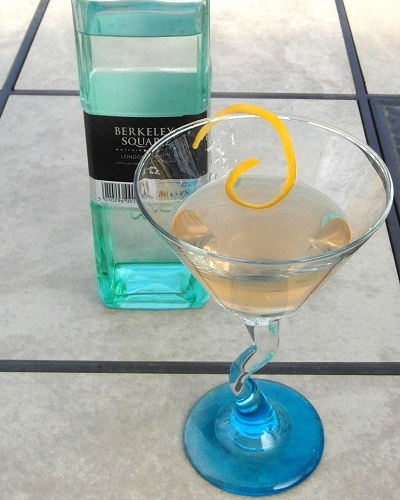 It is really almost a rum orange liqueur, quite a pleasant dessert rum. But I must wonder. Surely you are aware of the pressure that Caribbean distillers are now under due to the USVI subsidies that have been in the news. I have read that Guyana is especially affected due to their dependence on bulk rum sales. This would put the Pyrat at risk, no? Since you have had the opportunity to visit Guyana, what do you know about this competitive threat which I have read about on the Ministry of Rum? That’s quite the segue Gunther into an area of US politic of which I know precious little about and which, as a Canadian citizen, I feel rather reluctant to comment upon in any significant manner. It is perhaps best if us Canadians who are not especially knowledgeable about US tax policy refrain from jumping into a debate which may or may not be any of our business in the first place. I am not saying I am not concerned about what I have read, just that public comment from a non participant who understands that he does not have all the facts, is perhaps not the best course of action. As for my trip to Guyana, our group talked at length about politics both internal and external to Guyana during my stay with the good folks at DDL. The topic of the USVI subsidies came up as a concern, although there seemed to be a wait and see attitude with respect to what was developing. I do not know if the concern level has changed significantly in Guyana as I have had very little contact with Demerara Distillers since the trip.